A Cheese lovers dream! 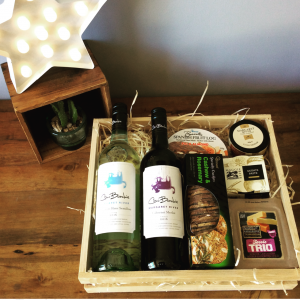 Two gourmet cheeses, fruit log, quince paste, crackers and two bottles of Australian red and white wine. 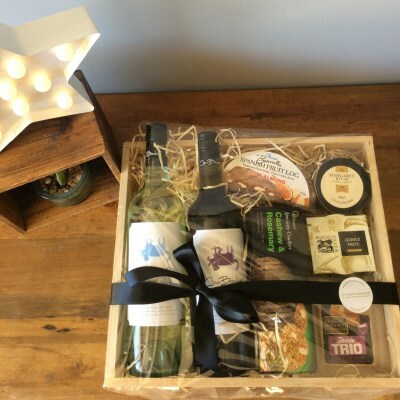 Presented in a wooden hamper tray and gift wrapped specially for you.